You’ve picked the dress, you’ve got the shoes, you’ve sorted the jewellery and you’ve even chosen the fragrance – but it all plays second fiddle to a glowing and radiant complexion on your Big Day. If you’re a regular reader then you’ll know how much time, effort and money I inject into my skincare regime; it’s such an important part of beauty and really does make everything else much easier. After all, if your canvas is in top condition the rest of the artwork will fall into place seamlessly! Knowing I was going to have photos of my face on the walls of my family members forever more (my mum has already reserved us a whole wall in her living room for printed canvases, and we’re not even married yet!) I really wanted to spend the months in the lead up to my wedding ensuring my skin looked and felt its best ever. It’s cliche to say that planning a wedding is stressful and sleep-depriving, but it is; that has a negative impact on our complexions (sleep and drinking water are the best ways to keep skin youthful and radiant) so it’s more important than ever to maintain a healthy regime. 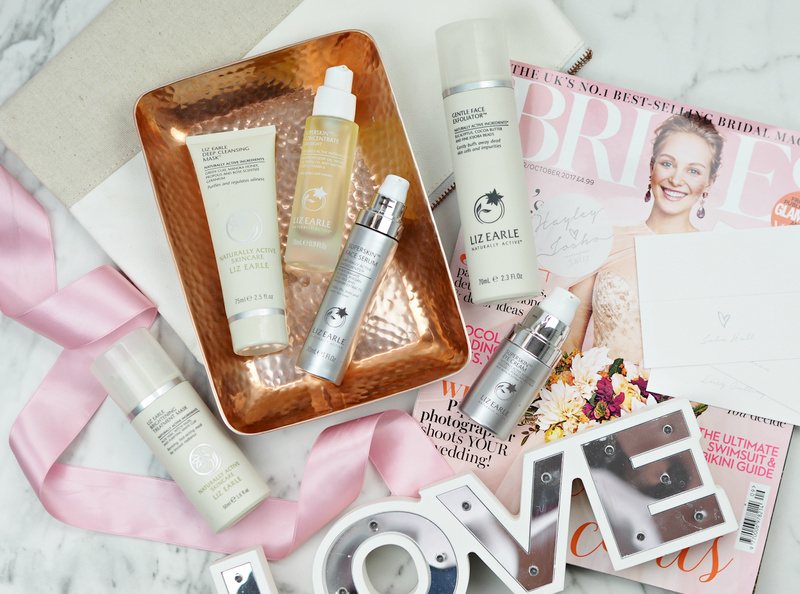 Over the last three months or so I’ve been working with Liz Earle’s Brand Ambassador and Expert Facialist Sarah Carr to establish a regime that helps my skin to look as good as possible when I finally walk down the aisle. She’s advised me to use a combination of targeted skincare treats to ensure my complexion is well nourished, plump and healthy looking, alongside regular intensive treatments in her Duke of York Square treatment rooms. The result has been skin that looks pretty cracking considering the intensity of the last few weeks, as well as giving me a portfolio of products I’ve either rediscovered or have fallen in love with. 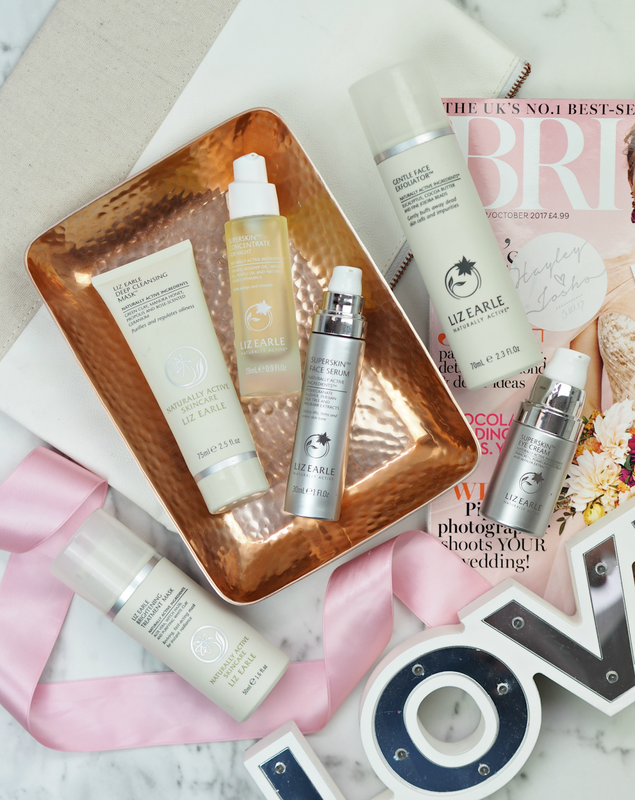 Here are the secrets to my ultimate bridal skin – although obviously transferable to anyone who wants their skin to look tip top at any point in their life! It takes a lot to impress me, but Sarah really does have magic hands. From the very first treatment with her, my skin was left glowing and practically flawless while my cheeks and jawline were higher than they’d been in a long time – it was like she’d taken five years off my face in the space of a couple of hours! What I love about Sarah is that she doesn’t follow prescriptive facial treatments, instead using her wealth of knowledge and expertise to create a facial that works for your individual needs. Every session she asks you a serious of questions about your general lifestyle and wellbeing, as well as what you want to achieve in the session, so the result is one you’re more than happy with. In addition to the facials, Sarah recommended a portfolio of products to use on a daily basis in order to give my skin what it’s been craving alongside ingredients that will help boost radiance and plumpness… Any great Liz Earle skincare regime starts with a morning and evening cleanse with their classic Cleanse & Polish Hot Cloth Cleanser (£16.00,) removing any makeup and dirt residue to leave skin feeling fresh but not stripped. Enriched with Cocoa Butter to soften and moisturise, alongside Rosemary, Chamomile and Eucalyptus to tone, soothe and purify, this is a cleanser it’s been a delight to rediscover – it was one of the first ‘proper’ cleansers I ever used! Two new products in my repertoire included the Superskin Eye Cream (£35.00) and Superskin Face Serum (£39.50), which contain ingredients that brighten, lift, firm, plump, smooth and ease puffiness. With a combination of Rosehip, Borage and Cranberry Seed oils, Pomegranate, Green Tea and Rhubarb, they not only smell amazing but they really make a difference too. The textures are rich, creamy and saturated with goodness – meaning you need only a little amount to really go a long way. It’s too tempting to pump out a tonne of this and massage it into my face, but I’ve definitely found I need only a small amount to massage into the skin for an instant feeling of plumpness. Although I do have a tendency to change up my evening skincare routine almost weekly, one of the staples in my regime over the last three or four months has been the Superskin Concentrate For Night (£60.00). This rich oil formula is a dream to apply and really encourages me to take some time breathing in the essential oils and gently massaging it into my skin. Enriched with softening Argan and organic Rosehip oils, soothing Neroli, Lavender and Chamomile essential oils, plus antioxidants and a natural source Vitamin E, this is a beautiful product to help you awake with a smooth and supple complexion. It’s possibly my new favourite night time treat, even if I don’t use it every day. All I needed to finish it off was a daily pump of Gentle Face Exfoliator (£16.50) in the shower to help buff away any dead or dull skin and keep my complexion looking bright. Sorted! On top of my daily regime, Sarah also encouraged me to take her treatments home with me in the form of a weekly mask session using a combination of the Deep Cleansing Mask (£17.50) around my t-zone and the Brightening Mask (£17.50) across the rest of my face. The Deep Cleansing Mask helps to reduce oiliness and draw out impurities, leaving balanced and calm; ingredients include Green Clay, Manuka Honey and Aloe Vera, helping to rid skin of any clogged pores or congestion. Additionally the Brightening Mask includes Camphor Oil, Witch Hazel, Aloe Vera and White Clay to instantly revitalise dull, lacklustre skin and impart a naturally radiant glow; the brightening results are visible instantaneously – so much so this is what I’m going to use on the morning of my wedding to make sure my skin is as radiant as possible! Weekly face masks have always been an important part of my routine, but it’s easy to forget or associate them with a bit of pampering rather than a vital part of your skincare journey. Investing ten minutes a week isn’t a lot, so we could all be encouraged to treat our complexions to a little boost; the combination of these two face masks has left my skin bright and clear – which is exactly the result I’m after. I love the fact they don’t leave my complexion feeling tight or uncomfortable, but instead just treat it to exactly what it needs. An investment that will pay off over the long-term! Outside of our regular skincare choices, some of the best things you can do for your complexion include getting a good night’s sleep, drinking lots of water and laughing as often as you can. Happiness and general wellbeing is reflected on our faces more than we realise, so I’ve made a concerted effort in the run-up to my wedding day to laugh more, sleep more (although waking up at 3am thinking about seating plans is not ideal) and drink more water. Whether or not I’ve managed it is another matter entirely (weddings are stressful!) but the intention was definitely there! As I step ever closer to walking down the aisle and having those moments captured forever, I’m feeling pretty good about my skin and the condition its in. In the few days prior I’ll be ramping up my treatment programme and injecting as much goodness as possible via the Brightening Mask and Superskin Serum For night treatment, ensuring I look as good on the outside as I’m feeling on the inside as I slip into my big white dress. 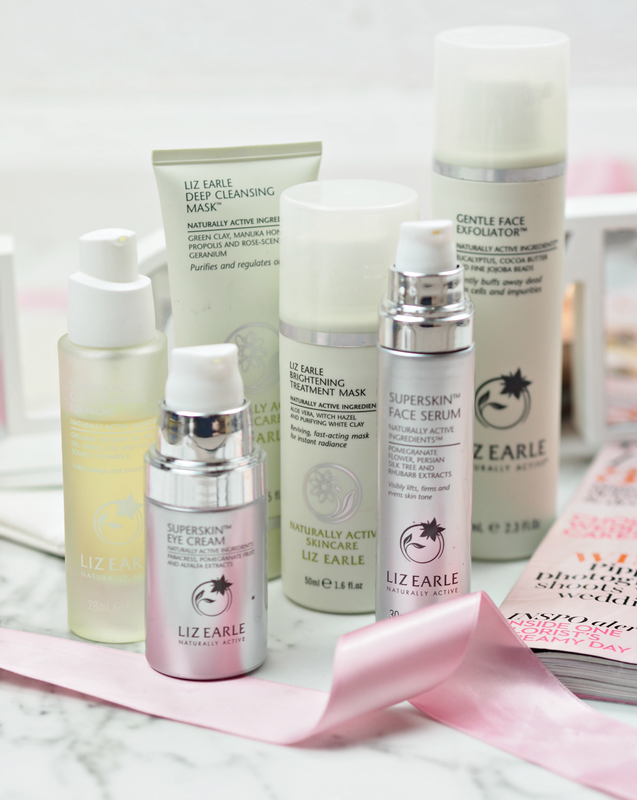 Are you a fan of Liz Earle skincare? If you’re a bride-to-be (or have been previously!) what regime or products have you been using to ensure you look and feel fabulous? 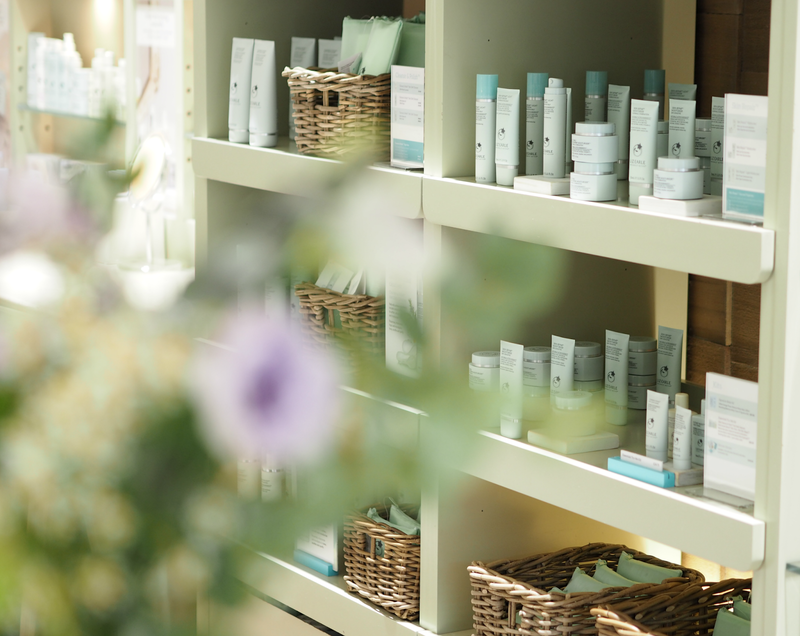 Find out more about the skincare and expertise Liz Earle has to offer on their website. 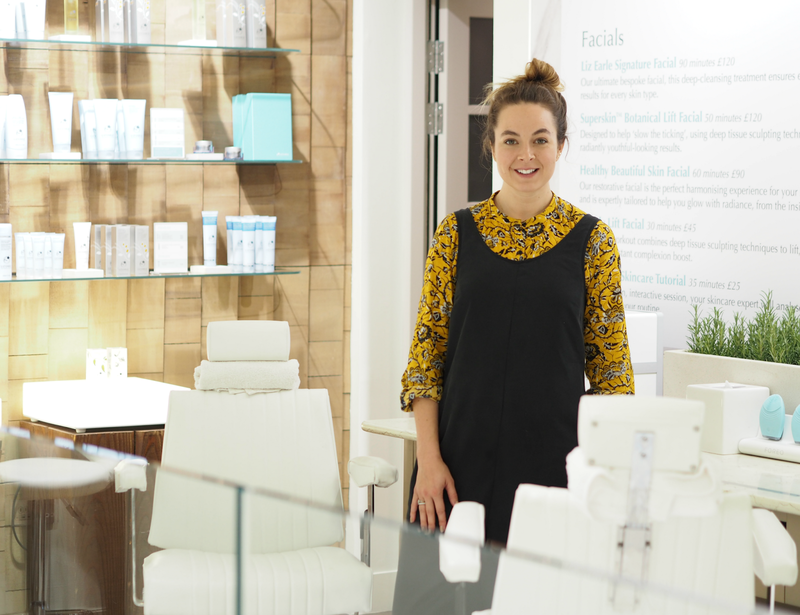 If you're interested in trying out the Liz Earle treatments or booking an appointment with Sarah Carr, here's all the info you need. This is a sponsored feature in partnership with Liz Earle; all opinions are my own. SIGN UP TO MY MONTHLY NEWSLETTER HEREEXCLUSIVE NEWS, GIVEAWAYS & INFO ON WHAT YOU'VE MISSED! Features PR samples unless otherwise stated. To read my full disclaimer, click here. Next Post I’m Getting Married Today!